Economic news was impacted by the Martin Luther King holiday on Monday and the Presidential Inauguration on Friday. Readings released included reports on inflation, the National Association of Home Builders Housing Market Index and Commerce Department releases on housing starts and building permits issued. Weekly reports on mortgage rates and new jobless claims were released as scheduled. The National Association of Home Builders Housing Market Index dipped from December’s reading of 69 to 67. Ongoing challenges including a short supply of lots for development and inability to hire skilled labor were cited, but builders were also confident that market conditions will improve due to a pro-construction stance in the new administration’s policies. Inflation rose by 0.10 percent to 0.30 percent in December against expectations that inflation would rise by 0.20 percent. November’s reading was also 0.20 percent. The Federal Reserve has long cited a goal for inflation to reach an annual rate of 2.00 percent; incremental month-to-month increases in inflation will help achieve the Fed’s benchmark. Core Consumer Price Index readings do not include volatile food and energy sectors and held steady with a reading of 0.20 percent, which matched expectations and November’s reading. According to the Commerce Department, housing starts rose to 1.226 million against an expected reading of 1.200 million housing starts and November’s reading of 1.292 million starts. Building new homes is a priority for home builders as housing markets have been hampered by a lack of available homes. High demand has driven up home prices in many areas and has caused a great deal of competition in highly desirable metro areas. This has permitted investors and other cash buyers to prevail in home sales where multiple offers were made. Building permits were lower in December with a reading of 1.210 million permits issued as compared to 1.212 million permits issued in November. Winter weather and holidays likely contributed to the dip in permits issued. Mortgage rates fell last week for the third consecutive week. 30-year fixed rate mortgages had an average rate of 4.09 percent as compared to the prior week’s reading of 4.12 percent. 15-year fixed mortgage rates averaged three basis points lower at 3.34 percent. The average rate for a 5/1 adjustable mortgage rate was two basis points lower at 3.21 percent. Discount points for fixed rate mortgages averaged 0.50 percent; average discount points for 5/1 adjustable rate mortgages averaged 0.40 percent. New jobless claims fell sharply from 249,000 to 234,000 claims. Analysts had expected a reading of 245,000 new jobless claims. Analysts said that layoffs reached their lowest level since the 1970’s. Job security is an important consideration for prospective home buyers; stronger job markets will likely positively impact housing markets. 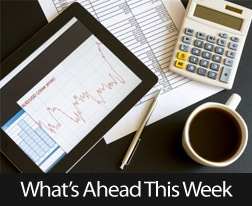 Next week’s scheduled economic reports include readings on new and existing home sales and consumer sentiment. Weekly readings on mortgage rates and new jobless claims will be released as usual.